A wedding car was among the vehicles destroyed when a vintage jet plane crashed onto the A27 at Shoreham yesterday. The Daimler had been on its way to pick up a bride to take her to her wedding. 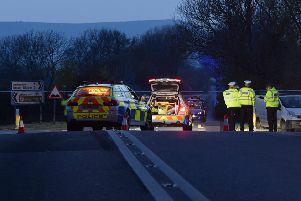 Emergency services have confirmed that seven people died in the incident and the A27 at Shoreham will remain closed today. We have a LIVE BLOG with the latest stories and reaction on social media.